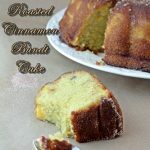 These bundt cakes may be small but the flavor is over the top amazing. Tonight’s dessert is chocolate bundt cakes with a black forest twist. 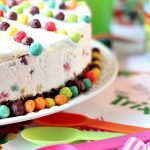 They are always a huge hit with family and friends. so it seemed like this would be an awesome way to combine the two things. Yet I swear I hit every roadblock known to bakers with this recipe. Every thing that could wrong did. 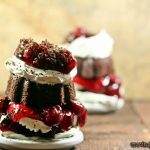 Recipe for black forest mini bundt cakes. I used the Best Brownies in the World Recipe for the cake portion. Make brownies according to directions, pour into mini brownie bundt pan. Reduce cook time by about half. 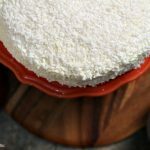 In a stand mixer whip the ingredients until fluffy. 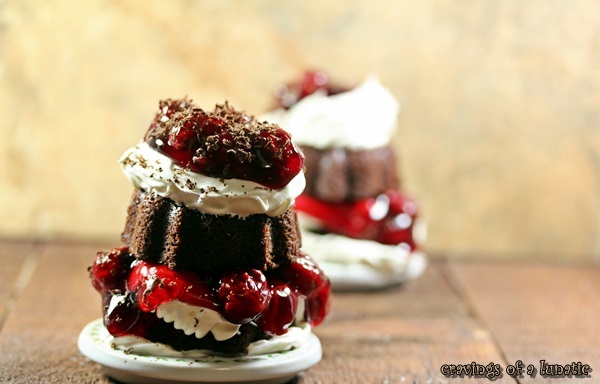 Once mini cakes are cooled, top with whipping cream, then cherries, then repeat, and add grated chocolate over top. You can substitute any chocolate cake recipe, or any brownie recipe in this. Just reduce your cook time by almost half since the mini bundts are so tiny. Still bundtalicious or two bundt sized thumbs down? I have to admit I usually do quite well when it comes to baking. I’ve been lucky. Not many recipes are epic fails. Then the odd one just smacks me upside the head and teaches me new things. 1. Do not bake at the last minute. 2. Plan posts well advance. 3. Have ingredients on hand for recipes. Yup, even us food bloggers have off days. Today was definitely one of those days. Tastes yummy…looks horrible. Not all recipes are wickedly photogenic. Luckily my tummy could care less what it looks like. I also apologize for the brownie link being external. It’s one of my earlier posts. It’s a way better recipe than the first one I used for this. I tried the one that came with my pan and it stunk. Bad. Like big old skunkaroo stinkage. The bundts were hard as a rock. Just remember the one I used is a gooey fudgey brownie so if you want a more classic cake type brownie please use a recipe that is cake like brownies. 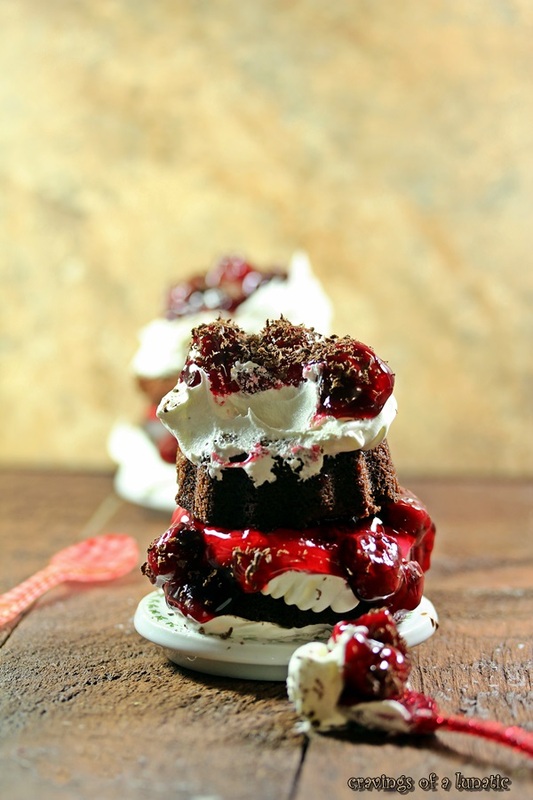 Or if you want a classic black forest cake I would say just use a chocolate cake recipe. I think my brain is still in Easter mode. So worn out. 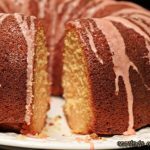 I encourage you all to go visit some food bloggers who do plan ahead, cook on time and are bundt geniuses. These folks rock, and I think you need to go visit them all right away. I’ve had those days with baking. And it is so true how all that happens when you leave it to the last minute. I’m glad it finally worked out for you and incredibly glad you shared the recipe. Wow at the photos. Simply gorgeous. You know what? I have two girls who would love those little treasures! Brownies: good. Whipped cream: good. Cherry pie filling: good. What’s not to love?! Even on an off day, you rock, Kim! No mini bundt cake pan in the house, though I think I threw the full sized one I inherited from my mom in the basement in one of the boxes of baking gadgets I exiled down there when I cleared out my cupboards (upper and lower) and am willing to go downstairs and check. Cause in spite of my thinking cherry/coconut would be the flavour combination I’d TRY, this one really calls to me. 🙂 Not a brownie version however. Oh goodness, that dessert is EPIC. I’ve read all great artists must suffer for their art. Maybe it’s the same for bakers! 😉 Looks pretty good to me. Now go get some rest! Baking while tired is never a good idea. 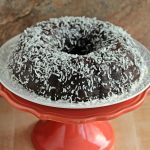 OMG I love these bundts! 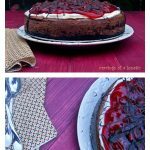 Black forest is the best cake ever and I love your single servings! I guess some things in life are worth waiting for, Kim Bee =) Your Black Forest Minis are adorable and look dee-lush-us! I love all your hiccups – they make me feel normal. These are so decadent and gorgeous and I would gobble one up but I would need a bigger plate because I can see messy times coming. We all have our bad days!! I think these look so good! Oh so very buntalicious! I would love to dive into this head first. jaja, sounds like you ended up having fun Kim. They look yummy! 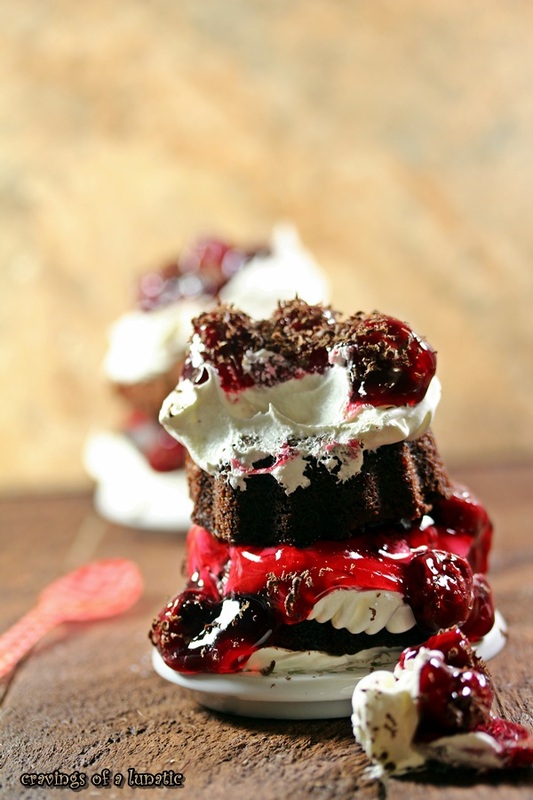 Black forest is one of the best ways to use chocolate and cherries. You persevered, and that’s all that matters. These mini bundts look scrumptious. I want to swipe some of that delicious cream with my finger. Yum! This made me laugh out loud. And honestly, I gotta hide the computer from my hubby because I don’t like cherries and he would take one look at your creation and demand I make it for him instantly! Those look so fantastic. I have to make that for my hubby for his birthday this month. Thanks so much for sharing!! I have a mini bundt pan I’ve never used and I don’t know why since theyre so perfect for entertaining. I think this looks great even if you did have issues. Those look divine! Oh my goodness I would definitely eat a whole one myself! Oh, I definitely have days like that and it’s ridiculous how frustrated and upset I get given how many successful days I have! They still look rather delicious to me! Most adorable Black Forest cakes EVER. I love black forest cake and the mini size just makes them so cute! That baby looks huge! Must be the camera angle. I think they look amazing! I can’t believe you think these look horrible, all I can think when I look at them is ‘I want to eat one now!’ They look delicious! Really great shot of black forest budnt cake, Kim! Sometimes you just have to redo everything and the result can be extraordinary, just like these. Amazing shot.